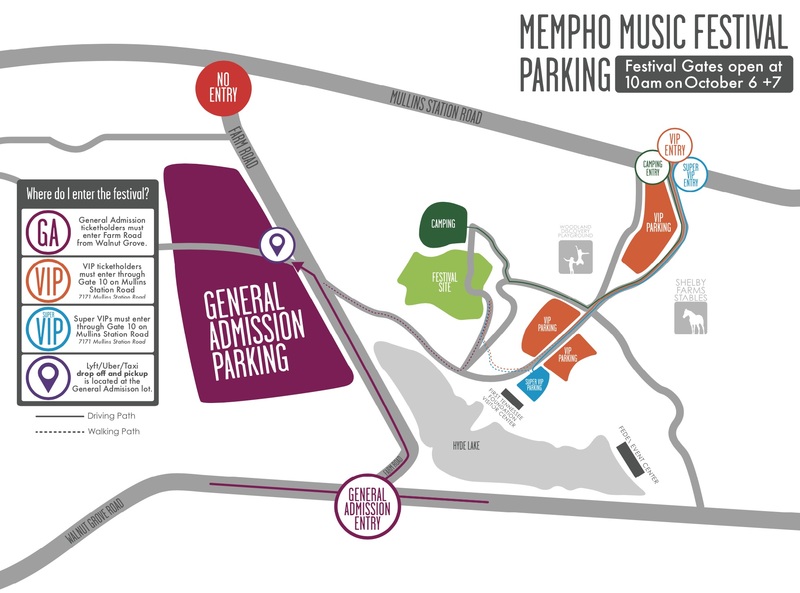 The second installment of Memphis’ Mempho Music Festival is right around the corner, and Atwood Magazine is excited to present our official festival guide! For the city of Memphis, the first Mempho Music Festival was a monumental announcement. Although two-day music festivals easily pop up all over North America (even some this exact weekend) such as the all-female All Things Go Fall Classic – organized by Maggie Rogers and LPX – in Washington, DC, it’s more of a challenge in the Mid-South. The All Things Go Fall Classic boasts a rising, powerhouse lineup that will easily draw thousands of attendees. For Memphis it’s often times tough to compete with the larger music market of nearby neighbor Nashville, even though the city that gave us Elvis supports an entirely different fanbase – even including music lovers from Arkansas and Mississippi. Mempho Music Festival offers a new opportunity for Southerners to see big ole names that normally skip over the City of Blues. 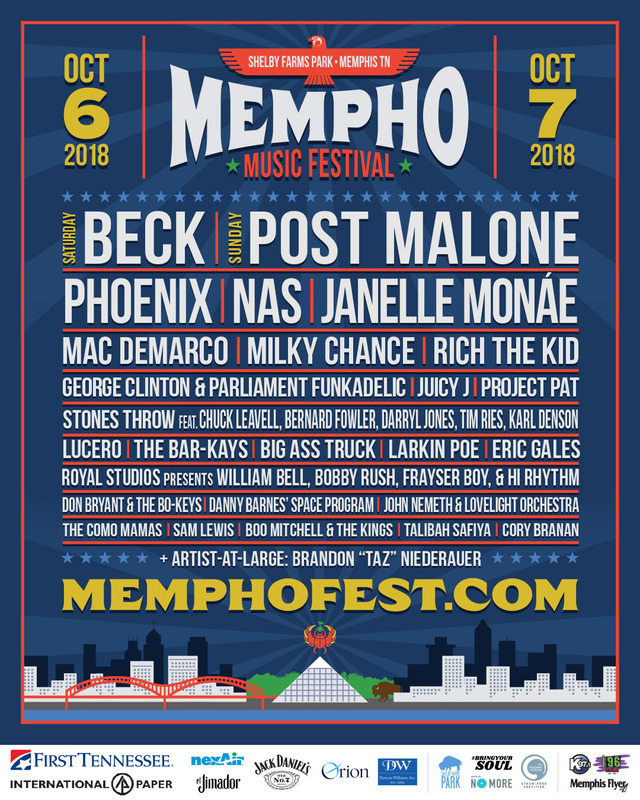 Now in its second year, Mempho Music Festival offers several high-profile acts including Beck, Post Malone, Nas, and Phoenix, but with that level of booking comes a hefty ticket price. Hopefully in future years, we will see a slight price drop and maybe a Friday night added to spread out the sets. There’s a momentous amount of room to grow considering how young the festival is which encourages festival enthusiasts (like myself) of Mempho’s long term sustainability. If you’re within driving distance, this festival is undeniably worth tossing on your calendar. Shelby Farms Park, known as one of the largest urban parks in the country, houses Mempho Music Festival and creates a sublime atmosphere for music listening. If you’ve intended to visit Memphis, but haven’t yet had the chance then pair the trip with this cozy little fest. Mempho Music Festival has many key elements working towards its expected success, but the most important being the music! 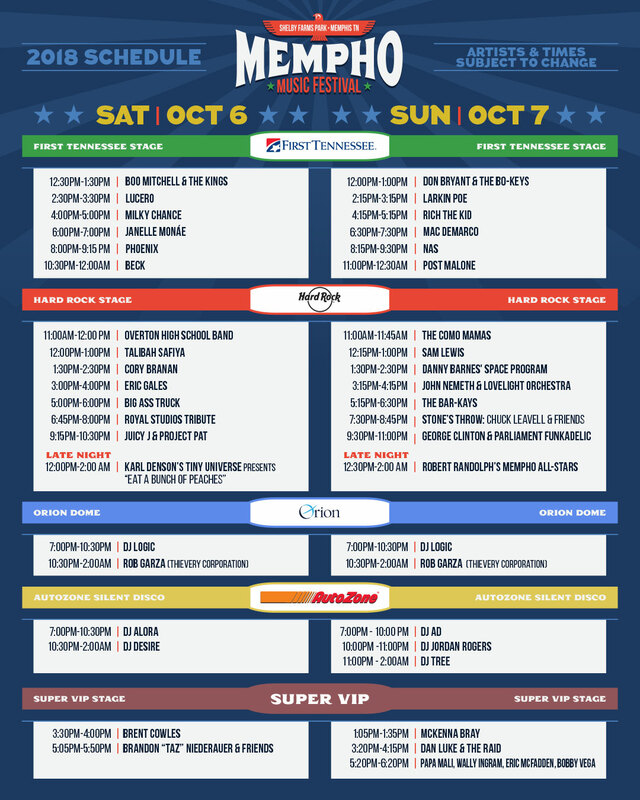 With only two short days of jam-packed music schedules, it’s hard to choose which acts to push up front for and which to relax in the back. Atwood Magazine wants to provide a few suggestions, but don’t forget that music festivals are the ideal spaces to discover new musicians. She’s one of the several impressive local acts on the bill, but undoubtedly the number one performance you should not miss. Talibah Safiya blows you away even if you’ve watched her practice an hour ago. She’s unexpected, soulful, and a radiant performer. Best of all, she’s unapologetically sarcastic, transparent, and bold. This German duo have earned praise several times over the past few years for their trancey, pop-fusion tunes, including viral hits “Stolen Dance” and “Flash Junked Mind.” Now their touring their second album, Blossom, and honestly it’s killer. Blossom exudes a maturity not seen in Sadnecessary, but holds tight to the upbeat electro-sounds that launched Milky Chance into international acclaim. Plus they truly “wow” at festivals, I think it’s their happy place. Janelle Monae will funk up even the most well-versed music lover. Her vibrant and wild energy makes for one entrancing show featuring rap, R&B, soul, and new to her style electronic flourishes. Nashville transplant Sam Lewis creates a special sort of sound, and one the I bet most people would expect to fall for. He’s indisputably soulful and a bit funky at times, but his country roots work their way into each of his tracks. With country as his base, he breathes new energy into a old timey genre that many music listeners may find unattractive. John Nemeth & Lovelight Orchestra is your necessary iconic Memphis blues rock set. With fiery horns and rhythmic bass lines, this artist collective will remind you of the homegrown sounds that inspired rock-n-roll, R&B, and soul. They will also most likely bring out some harmonics to really get people grooving. As a multi-instrumentalist, Mac Demarco gives listeners a variety of sounds to enjoy. Most people would categorize him as an indie singer-songwriter, but he brings jazzy riffs, soulful vocals, and intriguing lyricism that makes him nearly incomparable to any other artist. He’ll be entertaining, I can guarantee it.